Julie’s spending this summer hacking into New York’s real estate market with RentHackr! 1. You work for Renthackr – any tips for incoming Pace students looking to rent in the fall? USE RENTHACKR! Even just for curiosity’s sake. You can get some insider tips on buildings in the area, see where your Facebook friends live, and get an idea of how expensive rent really is. We also just added a “find by room” feature so you can find a room and skip out on some of the apartment hunting drama. 2. Could you tell us (briefly) what you’re working on this summer? I’m one of two interns, and we are essentially the engineering team right now. Renthackr is built with Ruby on Rails primarily, and I’m really polishing my Ruby skills. I also have the pleasure of being in charge of the analytics of the site, so I’m getting to take the data from Ruby to D3.js graphs. It’s really fun getting to learn how to work with the full stack through challenges fixing up the existing application. 3. The work you’re doing right now… do you think there’s a particular subject you took last semester that’s helping you? Or a particular Professor who’s teachings deserve a shout out? Dr. Wolf’s class on Ruby on Rails gave me a good foundation, and showed me what I’d be up against in the web development world. Dr. Scharff’s Programming Languages and Implementations class also has been an amazing help in my process of learning Ruby inside and out. I understand different datatypes better, and know where to look in the language to work out logic problems. 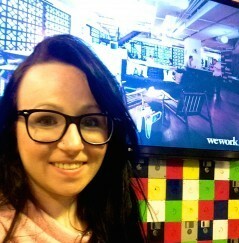 WeWork is beautiful. So is Seidenberg. But WeWork is really a coworking space to be reckoned with. The design of the whole space is very welcoming and beautiful. The view from my desk couldn’t be better. Seidenberg has a great video game set-up, but so does WeWork to be honest. However, a whole lot more collaboration and teaching goes on at Seidenberg. A lot more work gets done at WeWork. Julie Gauthier is an undergrad student at the Seidenberg School, majoring in computer science. She’s also the student manger at Seidenberg’s Creative Labs, overseeing tech projects from concept to completion, and happens to be the biggest fan of Dubstep DJ, Skrillex. Cynthia’s spending her summer tracking down cyber-crime for the US Department of Justice. 1. Who are you working with this summer? I am working for the US Department of Justice in the Criminal Division. Their purpose is to investigate and prosecute crimes on a federal level. 2. Can you tell us a little about what you are doing? My title is actually fancier than my job. I am called a high tech intern within the investigative unit. Basically I am working on various projects that involve computer forensics and their role in cyber crimes. 3. Is there a particular class or professor at Seidenberg that has helped you prepare for your current role? I think my computer forensics class with Professor Watkins was most helpful. He taught us the technical terms I would need to know, the importance of data integrity and even report writing. Each of these aspects play a vital role in my job this summer. 4. Does your new office have a favorite restaurant/hangout they go to after work? The other interns and I get together with the employees and do some bar trivia at a local spot. It’s a good way to unwind and get to know each other on a different level. 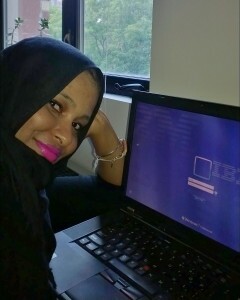 By day, Cynthia Shaw is an undergrad student at the Seidenberg School, majoring in information technology. By night, she’s a super hero that fights cyber-crime! Cynthia currently attends school at Pace University’s rather picturesque Pleasantville campus. 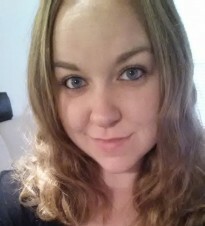 Author seidenbergnycPosted on July 28, 2014 September 15, 2014 Categories Fall 2014, Spring 2014, Summer 2014Tags Cyber Security, Cynthia Shaw, Internship, seidenberg, Summer2 Comments on Cynthia’s spending her summer tracking down cyber-crime for the US Department of Justice. 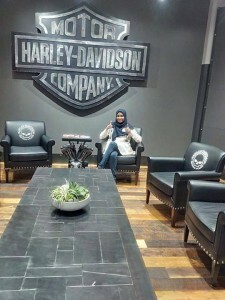 Kalgi’s spending her summer interning at Costco in Seattle! 1. How hectic is your internship at Costco? Are you sleepless in Seattle yet? Seattle is not New York. But, no, I am not having any sleepless nights, though my internship does take up a lot of my hours from Monday-Friday and some weekends too. I have to stay updated and do a lot of reading with regard to project management. 2. Could you tell us (in brief) what you’re working on this summer? I am working as a PMO intern with Costco IT. I am placed directly under a program manager, so I assist him with all the projects that fall under him (around 9 projects). In addition, we are developing a new dashboard for project management tools, which I am responsible for. It is in its development phase right now but we will start testing it soon. Also I am responsible for coming up with a training manual for the project managers. 3. The work you’re doing right now… do you think there’s a particular subject you took last semester that’s helping you now? Or a particular Professor who’s teachings deserve a shout out? Umm, I was always interested in project management. But, the IT Project Management course offered was really helpful in getting to know the basics and helped me with the lingo. 4. What is the fun stuff you’ve done in Seattle? Any explorations, tips? Seattle has beautiful wineries and a lot of water activities. So yeah, I’ve been pretty involved in all the grape crushing, blueberry and strawberry picking, para-sailing and jet-skiing. And of course, the first-ever Starbucks is worth a visit. There are a lot of hiking places around Seattle as it’s surrounded by mountains, the most beautiful being Mt. Rainer. 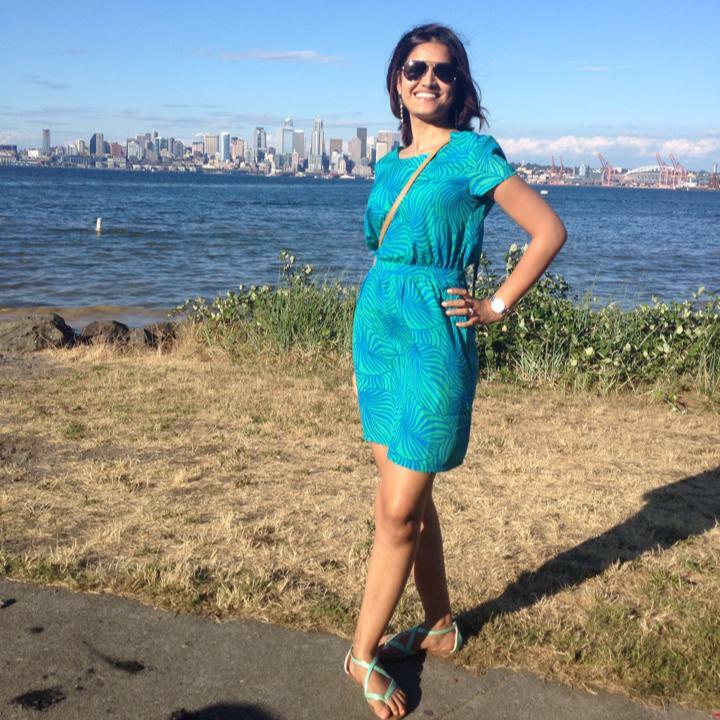 Kalgi Shah is a grad student at the Seidenberg School, majoring in information systems. An avid traveler, Kalgi has visited more places in America in the last 8 months, than most people who’ve lived here all their lives! 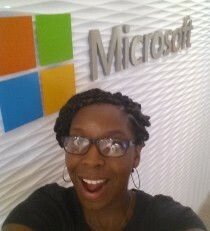 Siobhan’s spending this summer working on some top secret stuff for Microsoft! This summer, I am working at Microsoft Research as a student in the Microsoft Data Science Summer School (DS3). Though I cannot disclose details, Microsoft Research focuses on examining various data sets, especially in the realms of computational social science. In our program, the first few weeks have been lectures and hands-on learning of various programming languages and utilities such as Python, Shell Coding, and R. For the rest of the program, I’ll be working on a team project. After forming prospective research questions, we’ll analyze data sets and develop conclusions to those questions. We’ll then show those results in interesting and coherent visual representations. I would like to give a special shout out to Dr. Jonathan Hill and Stephanie Elson who have been a tremendous pillars of support to me throughout my time so far at Seidenberg, and who have also recommended me for this program. Thank you! Since the hours do go a bit late, and we have meals catered to the offices every week, a specific hangout spot has yet to be discovered. However, for those days when food is not provided, there are a variety of places around with good food if you ever need a break from the office. 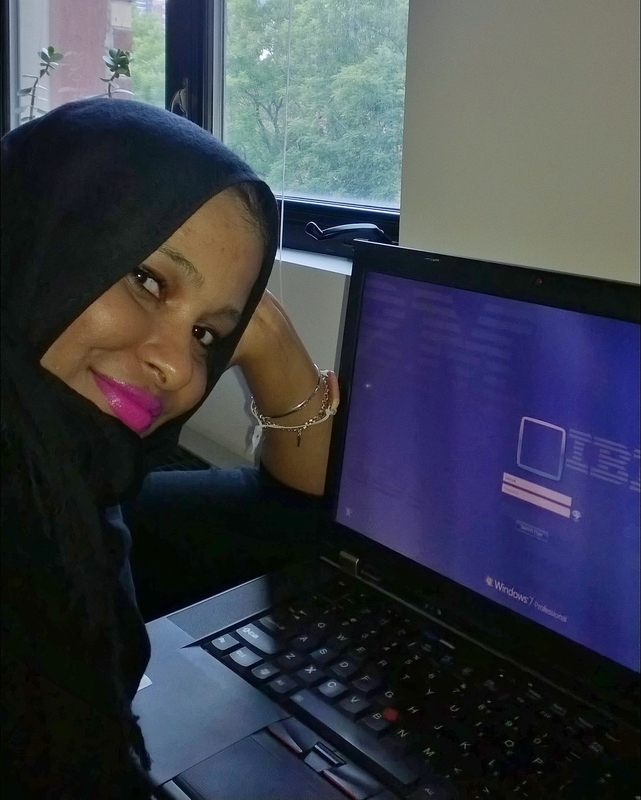 Siobhan Wilmot-Dunbar is an undergrad student at the Seidenberg School, majoring in computer science. She’s an honors student and a wicked pianist. Author seidenbergnycPosted on July 18, 2014 September 15, 2014 Categories Fall 2014, Spring 2014, Summer 2014Tags Intership, microsoft, seidenberg, Siobhan Dunbar, Summer1 Comment on Siobhan’s spending this summer working on some top secret stuff for Microsoft! I am working with Robert Prophet. He’s in charge of maintaining power and cooling in all data centers, as well as building new ones. I also work with Aneudy Lake, he is the head IT professional and he is a system analyst, he sets up workstations, fixes network issues and does installation of new machines. 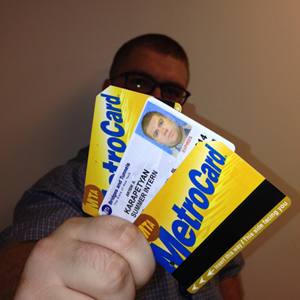 The last person I work with is John Rubino, he is the Sr.Project Manager for Security in the MTA, he is updating the security protocols of the MTA, whilst maintaining existing ones. I go to different locations, whether it is Hennery Hudson or Verrazano Bridge Narrows or East New York; I go and inspect their data centers with my team. I install machines for new (permanent) employees. I get to deal with everyone from electricians to contractors to Sr. level project coordinators and get to see how each one of them affects the process of controlling a data center. Sadly I have not taken any IT or networking courses as of yet, so no teachers helped me get my experience when it comes to this particular job, but Kline, Freddy, Olga, and Hill have always supported me. We interns go where it is cheap, good, and filling. So, we go to Yips, 18 Beaver St New York, NY 10004. Artem Karapetyan is an undergrad student at the Seidenberg School, majoring in computer science. He’s known to give quite the bear hug!